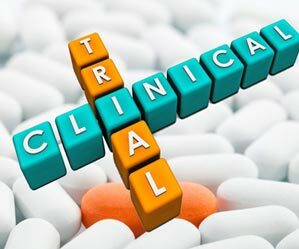 The Indian govt is reported to have taken few steps to ease the procedure of conducting clinical trials in the country. A recent circular issued by the Central Drug Standard Control Organization (CDSCO) clearly implies a new norm for initiating the clinical trial of a new drug. If the new drug has been approved outside India a.k.a already approved after conducting pre-clinical/toxicological studies on animals; then this same step for first state of trial in India is no longer required. Only exception being the fact that while proving their proposal for import or manufacture in India there should be absolutely no concern, raised by the international authority. This particular step by the CDSCO puts to rest the concerns raised by different stakeholders (to the health ministry) in India to eliminate the repeat steps of tests and data submissions. A similar step has been taken to ease the administrative procedure where the Ethics Committees can also approve requests for new clinical trial sites and new investigators to be added to a clinical trial without CDSCO’s approval as long as the ethics committees conduct “due diligence.”, as reported by the zeenews.com. As per the new norms, researchers will no longer need the permission of the Drug Controller General of India (DCGI) for “academic/research purposes that are non-regulatory in nature.” However, the Ethics Committee is still required to inform the DCGI of the study and the DCGI will have 30 days to object to the decision to not seek its approval.